Catalina Maria Johnson » Collaborations! 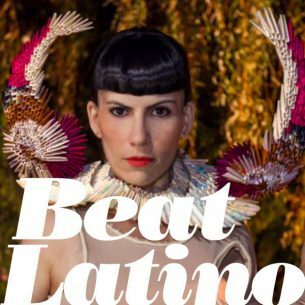 http://beatlatino.s3.amazonaws.com/Collaborations_Beat%20Latino%20with%20Catalina%20Maria%20Johnson.mp3 Download this Episode of Beat Latino (MP3) It is fascinating to listen to the results of musicians collaborating, each artist adding a complementary or paradoxical piece to the mixture, and this week’s Beat Latino is all about this beautiful synergy! When Mexican American folk diva Lila Downs joins forces with French-Chilean rapper Anita Tijoux or Afrocuban pianist Omar Sosa’s amazing notes mesh and harmonize with Seckou Keita’s delicate kora or the richness of Quetzal’s Cali grooves bounce against the vibrant R&B of Aloe Blacc… wondrousness ensues when musical minds come together! And in all cases in this week’s Beat Latino, 1 plus 1 definitely equals way more than 2. Feature photo: Dat Garcia, courtesy of the artist.